Elections, tariffs, Trump, millions of orange cones… it seems nothing can slow the growth of Montreal’s startups these days… On September 20, hundreds of startups and thousands of people fanned out all over greater Montreal (and in other cities) for Startup Open House (SOH). 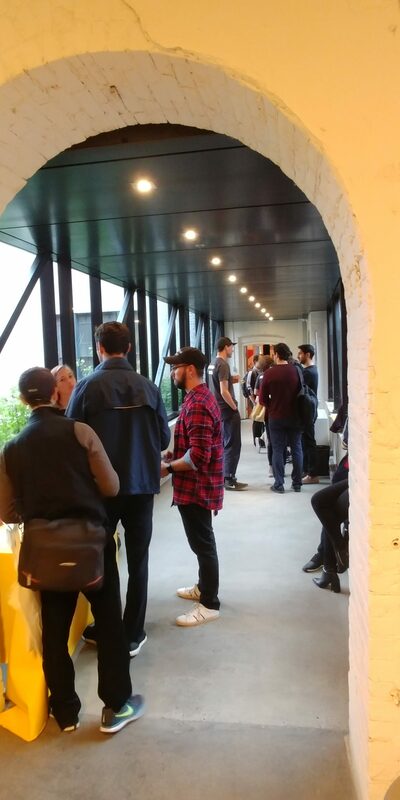 This is a unique event where participating startups open their doors to literally anyone, and people walk in just to find out more about their business, look for employment or even just meet their neighbours. We set out on a journey up and down the orange line to find out why so many businesses decided to participate? This team has been in their new space for less than a month. They moved into the Elpro building which is full of startups, suppliers and co-working spaces, because they wanted to connect with others in the community… and they needed the space! These ladies are leading a number of brands, with Elixir being one of the products they are most proud of. This is medicated wearables, like shirts or knee and elbow supports, that release medication to combat inflammation and other ailments athletes may suffer. “We wanted to be in an environment where we could exchange more with other people, and to be in more of a startup frame of mind” says Jelena Neylan, the company’s President, adding “We want to connect with other people in the building but also across Montreal. People who could be interested in what we’re doing. And explore possibilities for cooperation and collaboration etc…”. 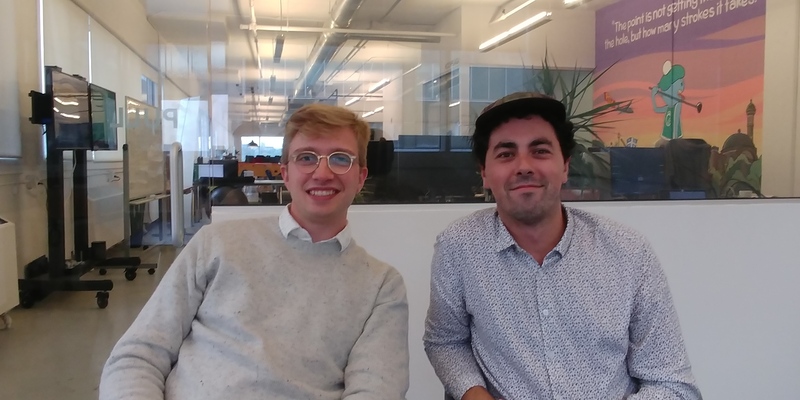 Her colleague Maryse Giard added, “Startup Open House has already helped us to reach out to other companies and we’re already starting to create new links with some of them”. Elixir is hiring for marketing, design and e-commerce roles. They are receiving a good number of applications, but find that there is a bit of a gap in the market. Many of the candidates they see applying are either too junior or too senior for their needs. Naturally, they’d be pleased to meet candidates in that sweet spot through an event like SOH as well! SportLogiq looks at SOH form a bit of a different angle. This is a well funded company that actually held the grand opening if its new Waterloo office during SOH in that city. 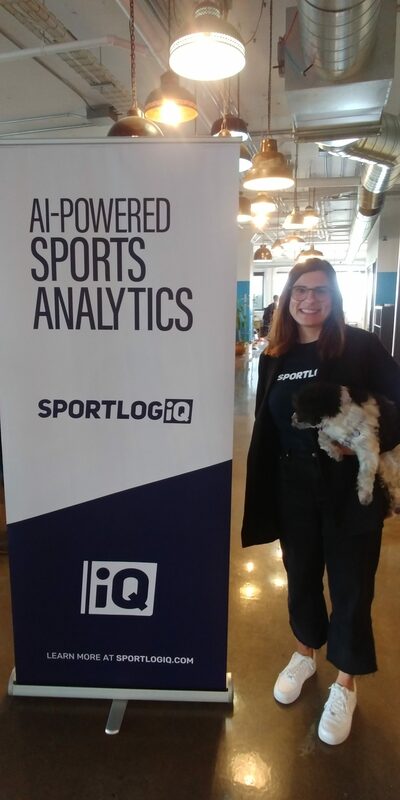 For those who don’t know, SportLogiq is an AI-powered sports analytics company whose objective is to help teams win more games and broadcasters engage more viewers. “It’s definitely more exposure for our brand overall, but in particular it’s helpful for recruitment. We’re growing and scaling like crazy right now” says Cassandra Sera, the company’s Marketing Manager. They’ve expanded into soccer and football, and are now hiring to build out these new engineering teams. The growth and the potential of the company are very strong. However, they aren’t Facebook, at least not yet, which means they still face stiff competition for talent in Montreal. “We find that participating in events like SOH, and having the opportunity to showcase our space so people can have a sense of what our culture is like, is helpful. Often when candidates are considering taking a new role, of course salary is part of it, but also getting to know the place, the people is important too. So this is an opportunity to open our doors and showcase that to the world” said Sera, while a boisterous game of air hockey was going on directly behind her! Fun fact… SportLogiq is planning a European expansion within the next 6 months! The golf industry is struggling in Canada. There are too many golf courses and not enough golfers. The enormous costs of maintaining these huge properties mean that for many golf courses, their margins are razor thin. Enter Chronogolf, SaaS for the golf industry. Providing cutting-edge management, POS, marketing, and CRM solutions to over 500 golf courses in more than 20 countries. Golfers can also use their marketplace to book rounds of golf online. “We’re positioned to help those golf courses. Golf is not dying, its slowing down.” says Arnaud Jolois. “Your typical golfer is getting older and older, and now there’s space for a new generation of golfer. Golf courses don’t necessarily have all the tools to cater to this younger generation”. He explains that by using technology golf courses can attract new players and cut their costs at the same time. Right now, Chronogolf is booming, and has about 45 employees at this point. “We’re on a hiring spree. In the last 6 months we’ve hired about 20 people” said Alex Lavoie. “Basically we’re looking for really good developers. We need help on the dev side. Customer success as well”. Their philosophy on SOH is not only to open up their doors to those who may want to work with them, but also to raise awareness of their brand and their services. If you don’t know what Notman House is… well you’re probably not in tech. One of the primary hubs of innovation in Montreal, this place is home to a number of startups, as well as the Osmo Foundation, Founder Fuel and of course Real Ventures. “It’s important for Real Ventures to support the tech ecosystem in Montreal. We’re always looking to meet creative entrepreneurs. 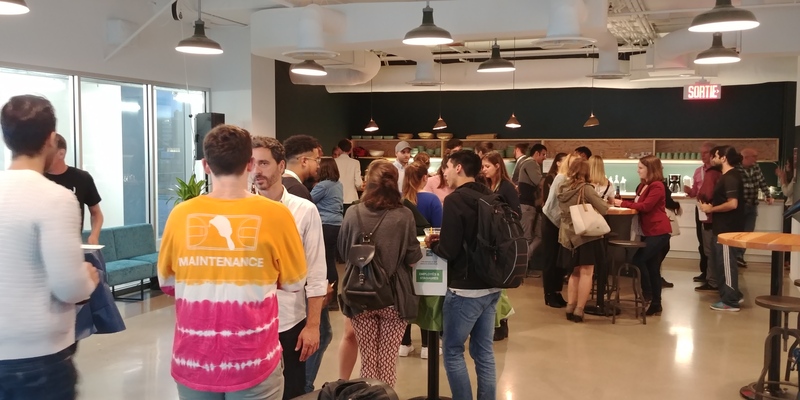 SOH is a great way for us to connect with these people” according to Eloise Flesh, Office Manager at Real Ventures. She says, they are on a mission to nurture the community. “There are also a number of questions that we want feedback on from the community. We really want to increase the amount of diversity and have that discussion with the community… how can we increase the amount of female founders that we back… how can we have more diverse teams in startups and how to implement the ideas that we do get”. Naturally, with about 200 portfolio companies, Real Ventures is also hiring. They’ve even built their own portal that currently has well over 400 jobs posted. Roles most in demand at Real and their portfolio companies include sales and business development, marketing and communications, as well as engineering. But Real is not the only organization that calls Notman home. 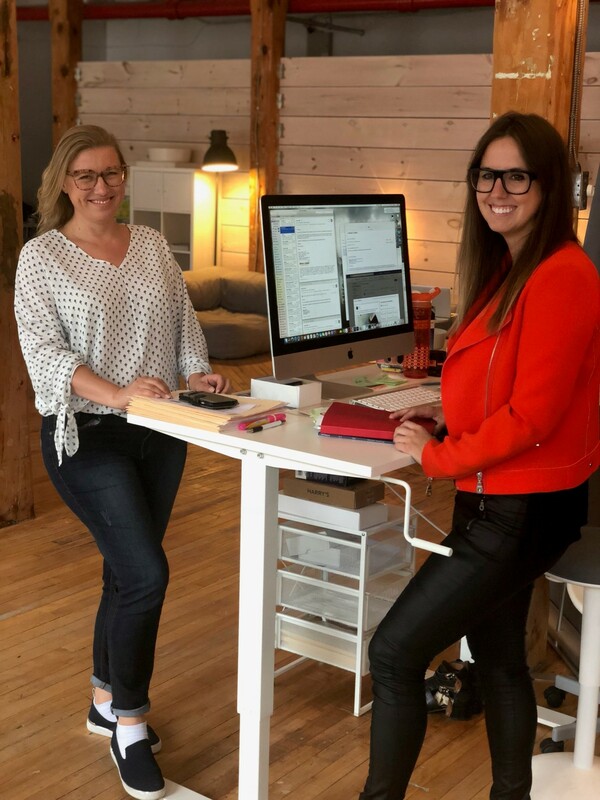 “Our objective is to create collisions and connections” says Annie-Claude Devriese, General Manager of Notman House and COO of the Osmo Foundation. “We have Hydro Quebec upstairs who wants to connect with startups. We have a few food startups showcasing their products downstairs. It’s a bit of all of our startups opening their doors and presenting what they do. Career opportunities and talent searching also”. Of course Osmo being a non-profit, she explains that the foundation’s principal objective is making sure that future innovators and changemakers will have the opportunity to meet, and continue to raise the bar for the Montreal startup ecosystem. MT Lab is innovation hub, focussed on supporting entrepreneurship and innovation specifically in the tourism, culture and entertainment sectors. As of SOH 2018 they had been open just 53 weeks, and yet this is still their second go around welcoming the public in for SOH. “It was important to me that we participate even right after we opened last year, and this year, because I believe that we have a responsibility to always give back to the community” says Martin Lessard, General Manager of MT Lab. “Our startups are too small to host an open house themselves. So, we’re coving it for them. Of course we welcome everyone to check out the MT Lab, but also to come in and check out the startups themselves… going forward, we’ll brief our startups ahead of SOH on the opportunity it presents. We’ll tell them, hey, you’re not alone… there are people out there who can collaborate and help you”. Lessard explains that MT Lab has brought a new group of people into Montreal’s tech ecosystem, and SOH is an ideal way to help them get a sense of what’s going on in the community and what resources may be available to them within the ecosystem. Last stop but certainly not least… there was an unofficial unveiling of Centech’s new space in the old Dow Planetarium right at Peel & Notre-Dame where much of the community converged for the SOH after party. Hundreds of people were on hand to enjoy some food and drink, but most of all to meet the other members of the ecosystem. The crowd was a diverse mix of talent, entrepreneurs, investors, advisors and suppliers, community builders as well as tons of people from incubators and accelerators. For those unfamiliar with Centech, it is an innovation hub attached to ETS, Canada’s second largest engineering school (lookout Waterloo). A fairly young organization, Centech has big ambitions for the future. They have a new cohort, new corporate partners (announcements to come this fall) and best of all, a brand-new building… which is actually an old building totally redone on the inside. If you like things that are round, this is the place for you. “We were in a building that was off an alley and a bit inaccessible. Now we’re in the middle of downtown so we wanted to open our doors to everyone” according to Richard Chenier, General Manager of Centech. “Tonight we want to connect our entrepreneurs to the ecosystem. SOH is a perfect opportunity for us to do so. We have people here from Notman, from D3 and many other places. We welcome everyone here, and we say to them, ‘Hey, we are a part of your community and we want to work with you”. So an evening of networking, collisions, recruiting, raising, consulting and community building… SOH has even spread to Laval and the South Shore this year. Everyone seems to love this event as it serves multiple purposes for multiple stakeholder groups. In a way it’s also a chance for the entire community to come together after a nice summer break and set up collaboration for their projects during the fall sprint. Thanks to all who gave their input to MTLinTech for this article.